I’m delighted to be exhibiting at the beautiful Tatha Gallery in Newport on Tay. I am exhibiting with two other excellent artists, Ade Adessina and Freya Payne. The exhibition is called ‘Roots and Wings’ and runs from 4th March until 15th April 2017. The Tatha Gallery is at No.1 High Street, Newport-on-Tay, Fife. DD6 8AB. 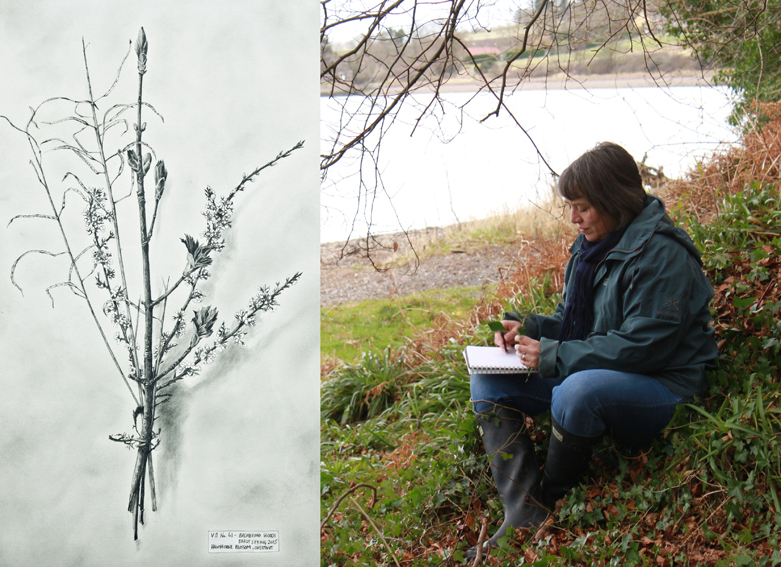 As part of this exhibition I have created a new series of paintings of posies made in Balmerino Woods, near to the gallery on the banks of the Firth of Tay. This is part of my ongoing ‘Votive Offerings’ project, these posies include late winter and early spring flowers and plants including budding Chestnut, Flowering Currant, early Hawthorne blossom, Celandine and Wood Anemone. I hope you will get a chance to have a look.